The 2018 iPad Pro models should follow Samsung's lead by significantly cutting the size of some screen bezels. A leaked image of an upcoming Android tablet from Samsung should catch the attention of Apple. It leaves off its large top and bottom screen bezels, something many potential iPad Pro buyers have been hoping for. 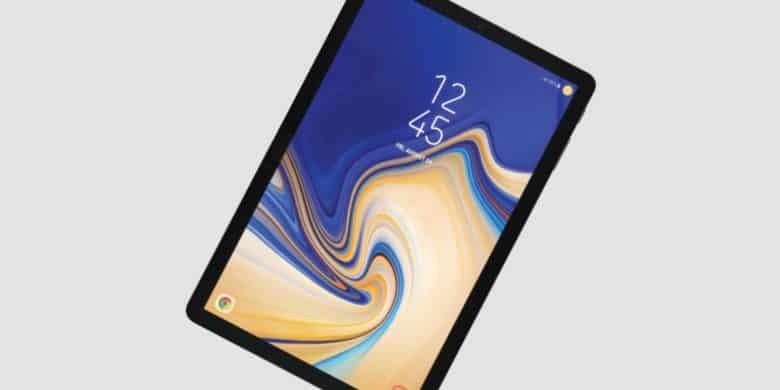 To accomplish its design change, the rumored Galaxy Tab S4 includes no home button. That’s also likely to be on Apple’s agenda. Apple already took the Home button out of the iPhone X, and none of the 2018 iPhone models are expected to have one either. It makes little sense to keep this relic around in the iPad line. Especially as removing the Home button makes room for a bigger screen. Or a smaller chassis. Either option has advantages and issues. Putting a larger screen into the same size tablet would make the device more usable, without requiring Apple to redesign its Smart Keyboard line. A recent artist’s concept image shows an 11.9-inch display fitting in the same size chassis as the current 10.5-inch iPad Pro. Alternatively, leaving the iPad Pro’s 13.9- and 10.5-inch screens unchanged but shrinking the chassis around them would make the devices more portable. Note how much more of the Galaxy Tab S4 is screen rather than bezel. While the Galaxy Tab S4 may lead the way by shrinking its the top and bottom screen bezels, and removing the home button, the rest of the design of this upcoming tablet isn’t anything Apple should be considering. An iPad in a plastic casing? Steve Jobs would return from the beyond, bent on vengeance. It’s likely much too late for any suggestions from the Samsung Galaxy Tab S4 to affect the design of Apple’s next tablet. It’s expected to launch this fall. 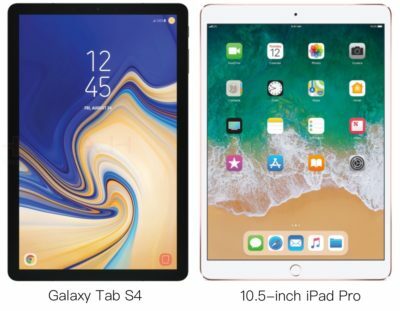 The 10.5-inch iPad Pro and the second-generation 12.9-inch iPad Pro debuted in the spring of 2017, and Apple tends to refresh its tablet lineup every 18 months. They might be announced in September, when the 2018 iPhone models are rumored to launch. Or Apple could hold its tablets until later in the year, as it does on occasion.